Paid 5 euros (around $7) at a garage sale last summer, sold for $38. 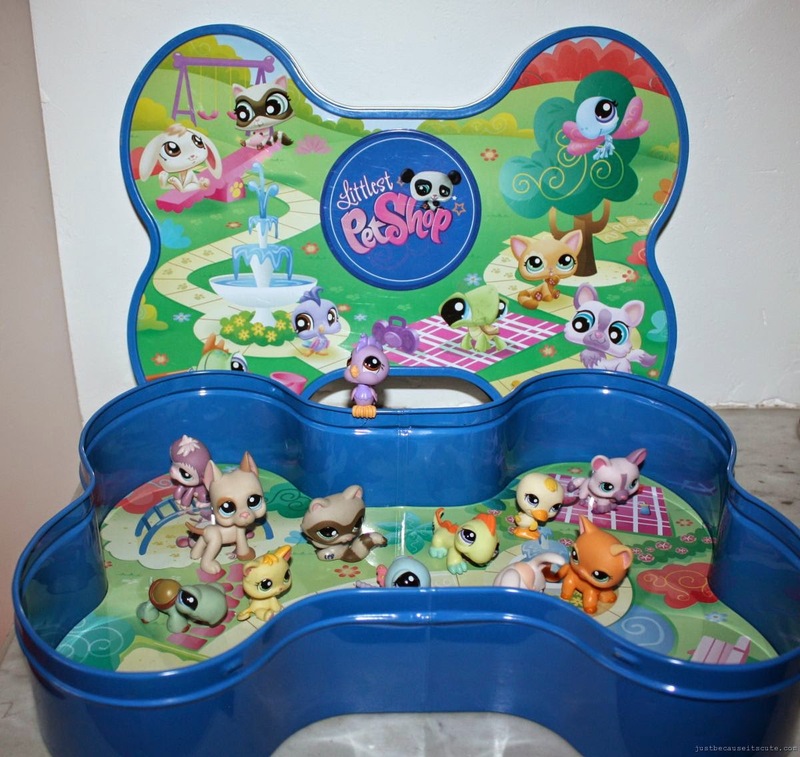 It's the Target exclusive dog bone shaped tin box with 12 Littlest Pet Shop figurines. It was in excellent condition. At the time I had no idea what LPS were, but I figured that if it was worthless, my daughter could have them to play with. I soon realized that these are quite popular, and that particular set is hard to find. So it was a good buy. Sold to a Russian buyer. I now look for LPS in yard sales, but I set a price limit of 50 cents each unless Ii am sure it's one of the rare figurines. But with thousands of them it's difficult to remember which ones are worthless and which one are the good ones, so setting a price limit is the best way to go.